Giulia Baita lives in a beautiful island called “Sardinia” (Italy). She has a degree in History of Contemporary Art and she loves painting and drawing. She is a mobile artist. Mobile Art is a form of art made with mobile devices such as iPhone, iPad and smartphone in general. She participated in many international exhibitions like “Light impressions” (two years in Miami) , Mobile Award Mira” (Porto) and mDAC 2017 (Palo Alto). She also showed some of her images in two Art Exhibition in her city, Cagliari. She has collaborated with the jazz composer Marco Testoni about some projects which combined music and art. A video with her pictures was shown in Rome during a concert by Marco Testoni and the Pollock Project group and it accompanies their concerts. Other videos (made only with iPhone) were selected from festivals like MoMo Festival, International Mobile Film Festival, Woman’s Mobile FilmFestival, Los Angels Film Festival. In March 2017 she founded MAG MobileArtGroup Facebook, MAG Instagram and MAG Twitter. 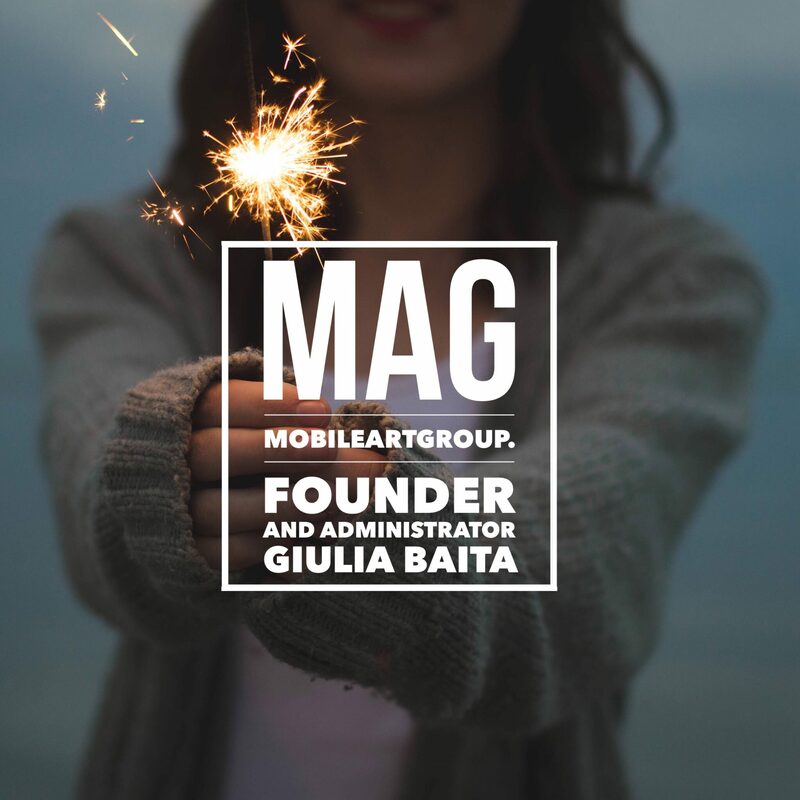 MAG wants to promote Mobile Art as a new form of Contemporary Art. In March 2018 Giulia Baita organized an exhibition in Cagliari with images of artists from around the world. It was called “Mobile Art From All Over The World” and it featured the work of 29 artists. She created also a book-catalog of the Exhibition. In November 2018 she organized her first solo exhibition in Assemini (Sardinia) curated by the artist Rosaria Straffalaci, artistic director of the Municipality of Assemini. The Exhibition was desired and promoted by the Municipality in the context of the artistic events promoted by the city. In the meantime, a collaboration was born with Rosaria Straffalaci, an informal artist, and with Pietrina Atzori, a fiber artist from San Sperate (Sardinia). It gave rise to a second exhibition called “Mobile Art, what a passion!”. It put together images by Giulia Baita and various international artists. This event in San Sperate ended with a workshop about the main apps and editing techniques on photos taken with smartphone.